Following the previous “Last Supper” short film, a final prologue to the upcoming Alien: Covenant was released online yesterday in celebration of Alien Day, and while it is definitely a bit spoilery in actually bridging the gab from the end of Prometheus to Covenant, these scenes featured in “The Crossing” are reportedly not in the actual film. Most importantly, the new prologue picks up 10 years after Prometheus with Noomi Repace as Elizabeth Shaw and the android David (Michael Fassbender), who were last seen heading off to find man’s creators. “The Crossing”, an official prologue short to Alien: Covenant, reveals what happened to crew members Dr. Elizabeth Shaw and the synthetic David after the events of Prometheus. Set aboard an abandoned Engineer vessel, Dr. Shaw repairs David as they continue their search for humanity’s creators. Legendary filmmaker Ridley Scott, who created the franchise with the original 1979 Alien and returned to helm Prometheus in 2012, directs Alien: Covenant. The official synopsis: The crew of the colony ship Covenant, bound for a remote planet on the far side of the galaxy, discovers what they think is an uncharted paradise, but is actually a dark, dangerous world. When they uncover a threat beyond their imagination, they must attempt a harrowing escape. 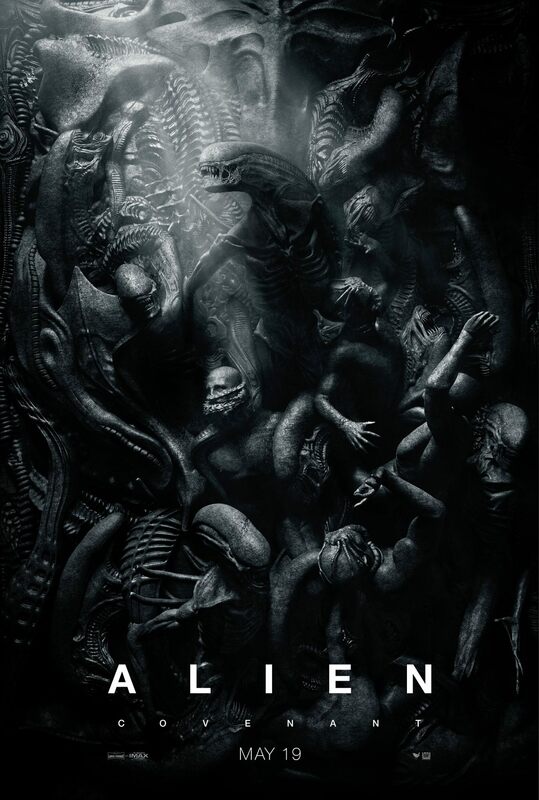 The cast includes Michael Fassbender and Noomi Repace reprising their roles from Prometheus, as well as (Halloween 2018 co-writer) Danny McBride, Demian Bichir, Jussie Smolett, Amy Seimetz, Carmen Ejogo, Callie Hernandez, Billy Crudup, and James Franco. Alien: Covenant arrives in theaters on May 19, 2017. You can watch “The Crossing”, as well as both official trailers and the previously released short film prologue, for Alien: Covenant below!